Tag Archive | "Howard City Fire"
Solon Fire Chief Jeff Drake was first on the scene. Courtesy photo. 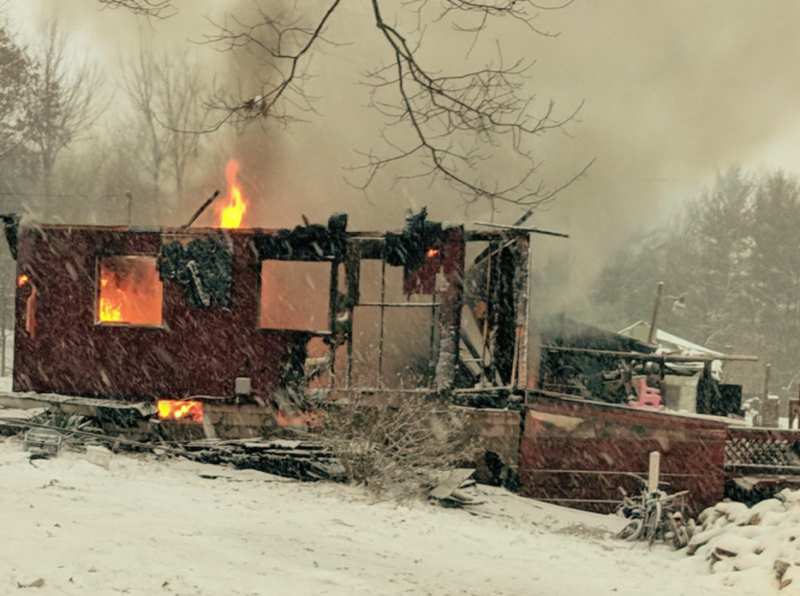 What started out as a chimney fire in a home in Pierson Township last week soon spread to the rest of the house, engulfing it in flames. 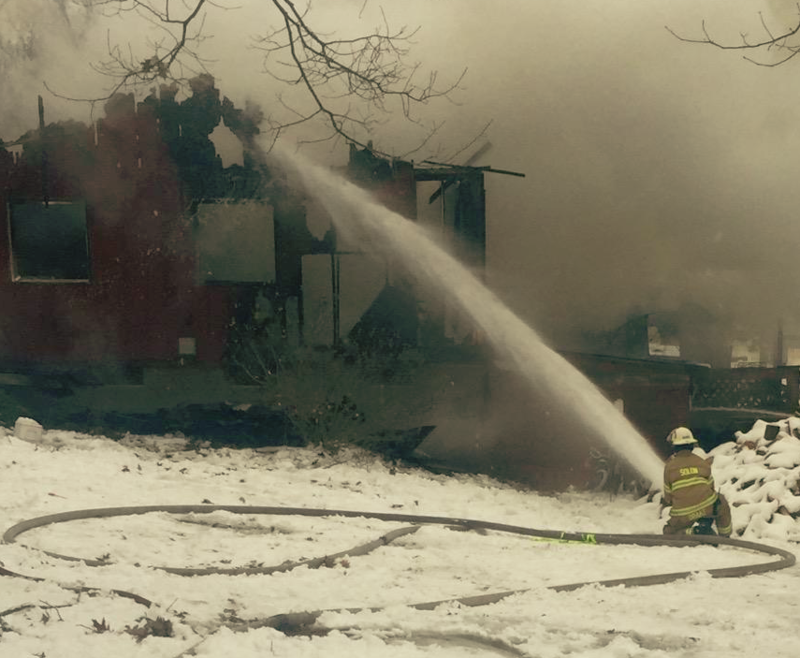 Four fire area departments responded to the fire at 23326 W. Stanton Rd on Thursday, January 24. Sand Lake was toned out for the fire at about 2:40 p.m. with mutual aid from Solon Fire, Howard City Fire, and Cedar Springs Fire. According to Sand Lake Fire Chief Ed Holtzlander, the family used a wood stove to heat the home, and the fire began in the chimney. He said the homeowner tried to put out the fire himself before calling to report it. But it soon spread into the walls and attic. First to arrive on scene was Solon Fire Chief Jeff Drake. Holtzlander said that the roof and the first floor eventually collapsed into the basement. Cedar Springs Fire Chief Marty Fraser said the intensity of the flames made it difficult to attack from the inside. “It wasn’t safe for anyone to go in. We had to attack it from the exterior,” he said. Holtzlander noted that everyone got out safely. The family dog was missing afterward, and it is unknown whether it made it out of the house. The home belonged to Jerry and Marilyn Beemer. The Red Cross was called in to help, and Holtzlander said they were staying with family in Sparta. The home was reportedly not insured. Holtzlander did want to remind people to call 911 before trying to put out a fire on their own. “I don’t know if it would’ve made a difference here, but it may make a difference on another fire,” he said.